When first starting off on the Old Town Server, you will be under the main spawn, which you will be spawning on after passing the Normal rank (you can walk upstairs to it). Once upstairs, go to the "Survival" section to enter the main world, the others options will be PVP Zone, Shops and Minigames. Newbie - This is the default rank you start with, you can protect chests, play with the minigames and interact with other players. Your name and chat is gray. Normal - Obtained after 45 minutes of gameplay, you can claim land with the /dist command (total of 5000 blocks), and your name and chat is white. Regular - Obtained after 15 hours of gameplay and 100 in-game cash, you can create chestshops and gain 35,000 block total for your district. You'll get the [R] symbol/prefix infront of your in-game name. /help - Shows you all the commands. /spawn - Brings you to the spawn location. /rules - Provides you with a page of server rules. /ar check - Check the amount of time spent in-game, and time till next rankup. /dm all - Turn death messages on or off. /sidebar - Toggles the scoreboard on or off. /vote - Sends a link to the voting page. /website - Sends a link to the website. If you would like to know how to claim land please read the following guide! /auction - Information on auctioning items. /trade - Information on trading with users. /pay - Give a player money. /tptoggle - Blocks players from using TP commands using you. /warps - Presents you with warps you can TP to. /tpaccept - Accepts the request to teleport to him. /tpadeny - Denies request to teleport to him. /sethome - Set a home which you can teleport to. /home - Teleport to your preset home. TNT Wars In this minigame, users spawn in between a wall, on islands, the goal is to kill the other team, with tnt cannons, enjoy! Fire Master You are the Fire Master, defend yourself against the other Masters, and see who is the best Fire Master of them all! Survival Games This is the standard survival games, with fun kits, and beautiful maps. One In Quiver One arrow, a bow, a wooden sword. A hit with the arrow is an instant kill, if you miss... Good luck! Splegg Fight your enemies in this terrific fast paced minigame, where the goal is to get your enemy to fall off the map! To create a district you must be at least a Normal Rank on the server, use /ar check if you're unsure of your rank. To protect your land, type in /dist, the menu will show up. Blocks Available - Tells you the amount of blocks used. District Visualization - Toggle on or off the visualization. Claim - Claim your land. When you select the Claim option (Golden Hoe), it will tell you to enter a radius. Type in a number for your radius, it will claim the area corresponding to the number you entered. Name District Rename your district. Remove District Removes the district you're standing on. Trust Players Enables players to build, place, and other things within your district. Sell District Sell your district for a price. Rent District You can have your district up for rent. CropTrample - Allow/disable outsiders to break your crops. Redstone - Allow/disable outsiders to use your redstone. Crafting - Allow/disable outsiders to use your crafting table. GateUse - Allow/disable outsiders to use gates. Shearing - Allow/disable outsiders to shear your sheep. MobHarm - Allow/disable outsiders to hit mobs. BedUse - Allow/disable outsiders to use your beds. LeverButtonUse - Allow/disable outsiders to use your levers. PVP - Allow/disable outsiders to PVP (disabled regardless on or off). FurnaceUse - Allow/disable outsiders to use your furnace. DoorUse - Allow/disable outsiders use your doors. BucketUse - Allow/disable outsiders use buckets. Music - Allow/disable outsiders use your juke box. EnderPearls - Allow/disable outsiders use enderpearls within your district. BreakingBlocks - Allow/disable outsiders to break your blocks. ChestAccess - Allow/disable outsiders to use your chests. Brewing - Allow/disable outsiders to use your brewing stand. PlaceBlocks - Allow/disable outsiders to place blocks. Chest shops is a simple and easy plugin to use. Watch this short explanatory video, on how to use it, and its functions. Downloading TeamSpeak 3/TS3, Installing it, and connecting to our server. 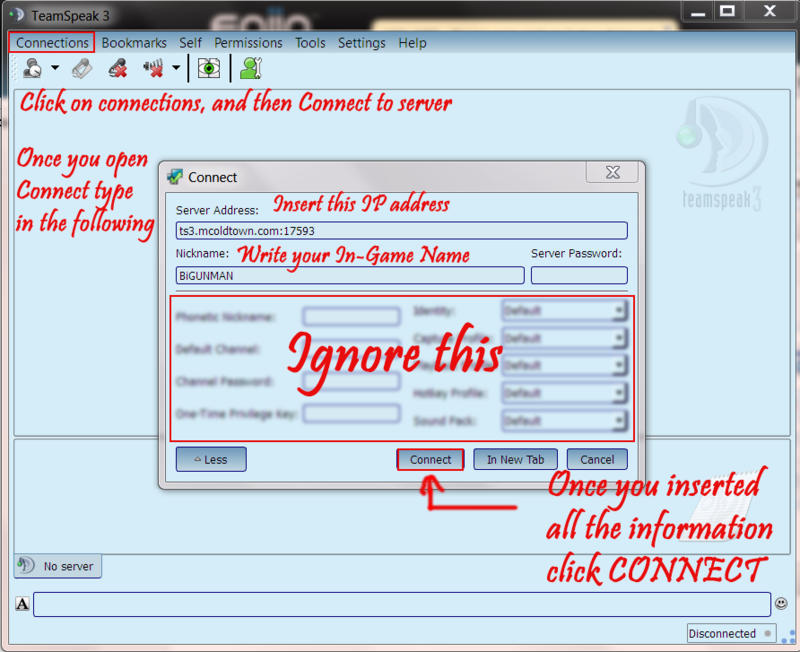 To download TeamSpeak 3 go to this link http://www.teamspeak.com/?page=downloads once you get there find the Operating System you have. Select Client, and download. Here's an image of how I would download it. Ignore the Server stuff. You need to download Client. If you are running 32-Bit version of windows then download 32-Bit if 64-Bit then download the 64-bit version. I will not insult your intelligence. Installing TeamSpeak 3 is simple. Once you do there are 2 ways of joining the server. Click on the TeamSpeak 3 Icon and then click Join Server. NOTE: You must be logged onto the website to use this solution. Type in YOUR In-Game Name were NickName is and click Connect. Click Okay. 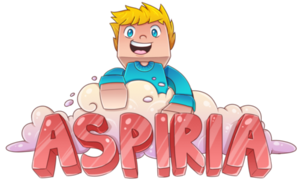 Now anytime that you want to join the TeamSpeak 3 server open TeamSpeak 3 CLICK Bookmarks and then click on Old Town Minecraft. You now have TeamSpeak 3!